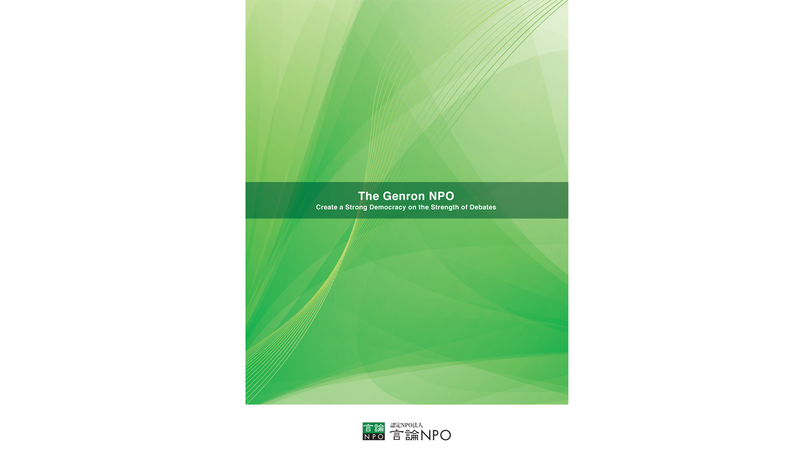 On January 17, the Genron NPO held a Japan-U.S. Conference at the International House of Japan in Tokyo's Minato Ward. The theme of the conference was the U.S.-China conflict and peace in Northeast Asia. Attendees discussed how the economic rivalry between the U.S. and China will unfold and what sort of effect that will have on security in Northeast Asia, on further denuclearization of North Korea, and on the peace process on the Korean Peninsula. Thirteen experts from Japan and the United States attended the Japan-U.S. Conference this year, where they exchanged opinions on the conflict between the U.S. and China, and on peace issues in Northeast Asia. 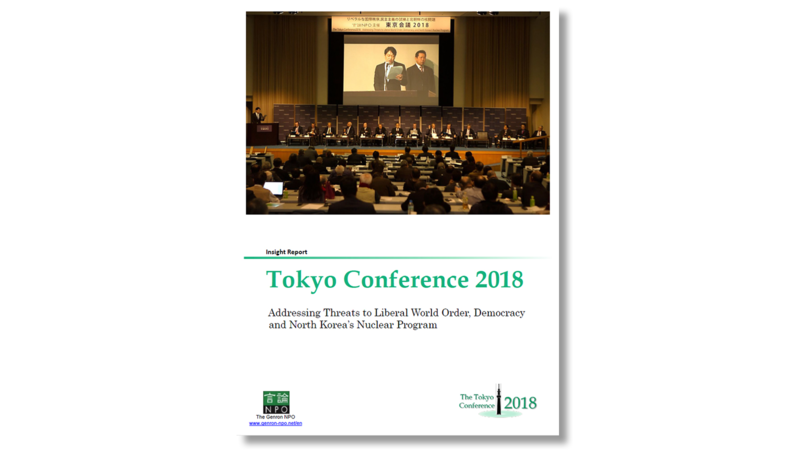 Before opening the conference, Genron NPO president Yasushi Kudo expressed his belief that, to realize peace and order in Northeast Asia, actors must manage the crisis by avoiding war and by creating a sustainable peace maintenance framework in the region. On that basis, two efforts are necessary. First, Japan and the U.S. should become the core of the effort to ensure peace and order in the Northeast Asia. They should be responsible for analyzing the current state of security in the region, and clarify any issues that may lie in the way of maintaining a peaceful environment. 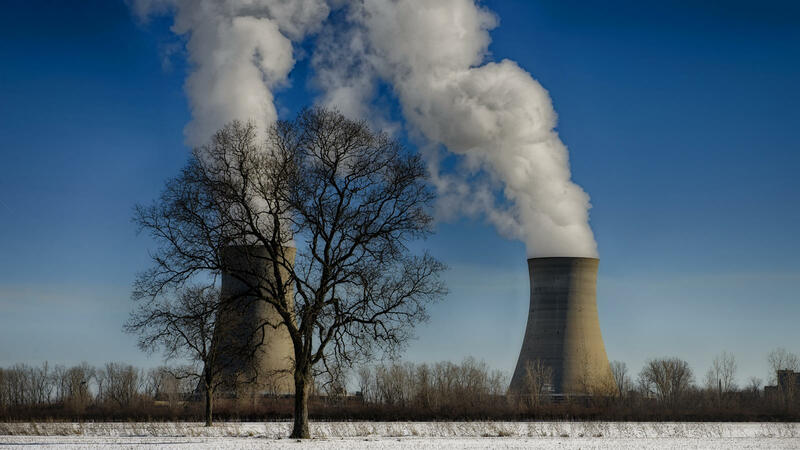 Furthermore, Japan and the U.S. should come up with and share ideas about the direction, structure, and underlying principles for this new framework. Second, it is necessary to have a strong relationship between the U.S. and Japan - a relationship supported through the understanding of a large number of each nation's citizens. Ensuring the relationship remains strong, Kudo explained, was another reason for the conference, during which attendees would be able to work on issues shared by both countries, and to come up with a framework that can bring together a broad array of individuals to think about the issues together. With that, Kudo presented the panelists with two themes to discuss. First, he asked them to consider the current state of the rivalry between the U.S. and China and what lies at its heart. He pointed out that, in Washington, the dominant perspective now is that the 40-year-long engagement policy has ended and transformed into one of strategic competition. Kudo asked what sort of effects this rivalry will have on Northeast Asia. 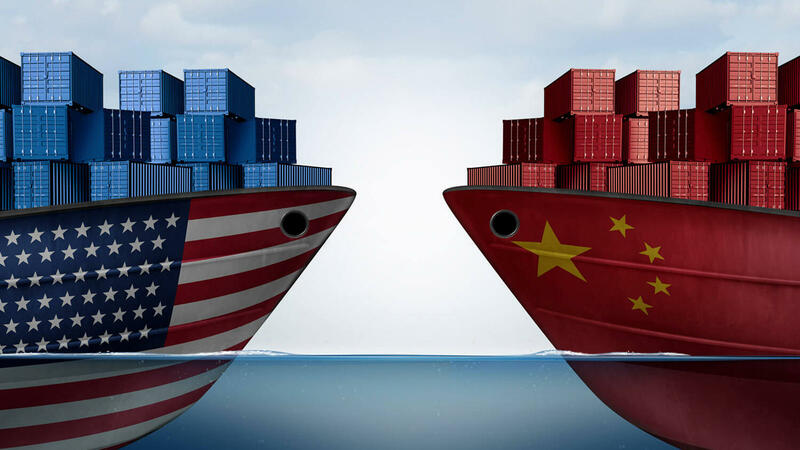 Moreover, while the U.S.-China trade war is currently in a 90-day truce, Kudo noted the growing opinion that the situation is not limited to a commerce-based rivalry; there is also a growing digital rivalry in the fields of A.I. and 5G telecommunication systems, and with no rules or standards in place, the situation is becoming a struggle for supremacy between the two countries - and perhaps the beginning of a new Cold War. Considering this, Kudo asked two panelists from each country to launch the discussion by responding to the following questions: How should we deal with China - a country whose economy is guided by the national government? And, as an U.S. ally, what position should Japan take? First to speak was Ichiro Fujisaki, former Japanese ambassador to the United States and president of the America-Japan Society. Fujisaki pointed out that there are some people in the U.S. who believe that President Trump's policies regarding China are somewhat reckless, while others believe the policies to be an appropriate response to what they see as excessive growth in China. Fujisaki sees the situation as one in which opinion is divided between praise and censure, with some believing that China is ready to bow to the inevitable on issues such as intellectual property rights. Moreover, China is taking advantage of President Trump's tendency to ignore international organizations such as the UN and the WTO, using that as an opportunity to stand as flag-bearer for the free market. Fujisaki did not hide his unease regarding the change in the U.S. posture, saying, "This current forceful handling of China is a position taken by the U.S. as a whole - perhaps the change has come from within the ranks of moderate Republicans and the Democrat base." Fujisaki spoke about modern China, noting that it no longer follows Deng Xiaoping's "Tao Guang Yang Hui" strategy, through which China kept a low profile, its strengths hidden, and now there is a sense of alarm in the U.S. "beyond that ever experienced during the anti-Japan era in the past." But, Fujisaki asked, "Is this really true? For three years, people have been ringing the alarm bells about China, and many people were arguing for engagement as a policy. Is there really no swing-back happening in China　right now?" Moreover, Fujisaki suggested that much uncertainty about the future remains. This is particularly true when one looks back at past U.S. administrations rocked by various issues, such as that of Chinese representation at the U.N., the so-called "Nixon shock" caused by Nixon's visit to China, the Taiwan Strait Crisis, the Korean Peninsula Energy Development Organization (KEDO). It also remains when considering President Trump, who has placed himself in complete opposition to former President Barrack Obama, even going so far as to say that everything Obama did was a mistake. Will the future U.S.-China relationship will be one of engagement or confrontation? Will there be a swing-back? 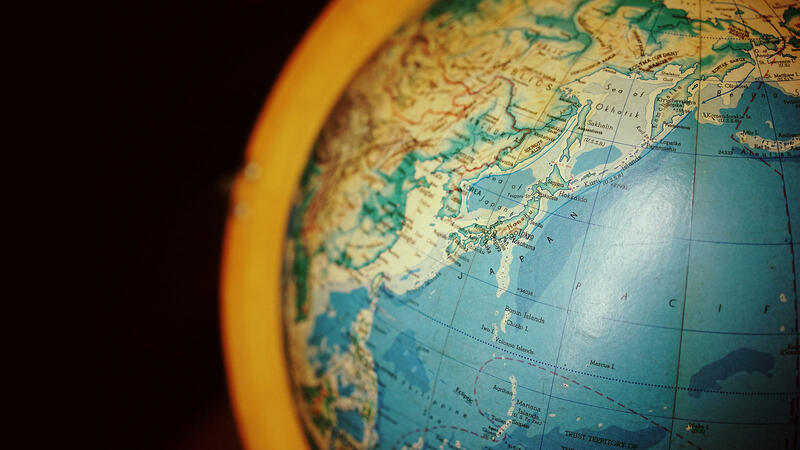 Fujisaki believes another important point to keep in mind is that the neglect of international organizations will likely have a negative effect on the global order. 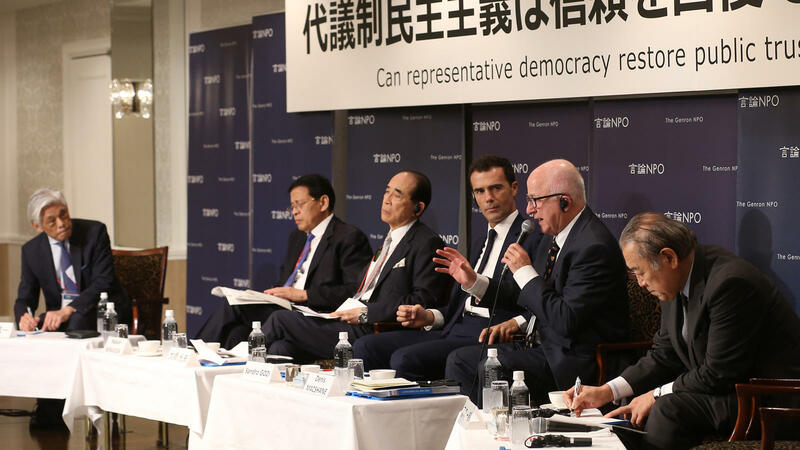 Next to speak was Jim Schoff, head of the Japan office for the Carnegie International Endowment for Peace. Schoff compared the current climate to the anti-Japan trade friction of the past, saying that it is important not to overgeneralize when discussing the U.S.-China rivalry using examples from the past. "The U.S. overestimated the threat Japan actually posed back then, but during negotiations, they came to understand that Japan wasn't as bad as they expected, and that it was not invincible. The Japan-U.S. trade war gradually cooled down, and an integrated economic partnership was born, which allowed for economic policy provisions to be made by both parties." He added, "the threat potential of China is unclear, and opinion is even divided among high-ranking U.S. government officials." That is why, "it is necessary to implement rules on AI and other new technologies, and on WTO reform." "I don't think this current economic war will continue for as long as five or ten years," Schoff added, and predicted that inter-ally policy coordination will be an important part of handling the strategic competition between the U.S. and China. 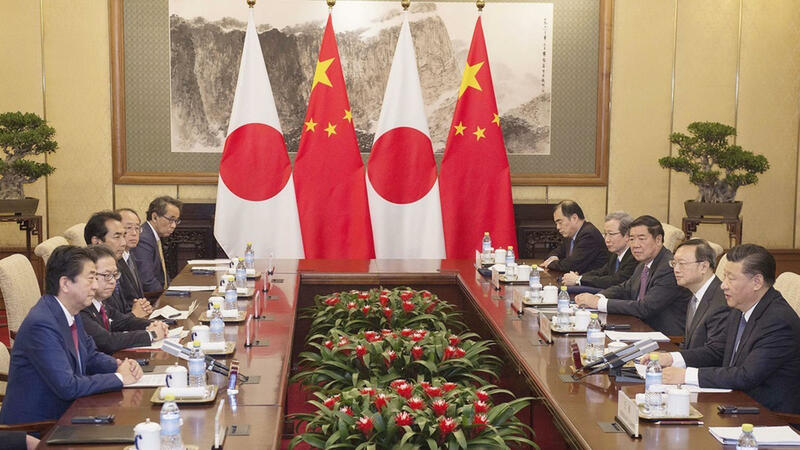 Handling the U.S.-China friction calmly, expecting leadership from Japan. Keio University Professor Yorizumi Watanabe, an expert in international economic relations, stated that it is necessary to consider the U.S.-China rivalry through both short term and medium-to-long term thinking. "In the short term, both countries are calling for sanctions and starting to impose high tariffs on each other, but when that escalates it results in reduced mobility for both, and they become exhausted with the effort and gradually move towards a solution," Watanabe said. "On the other hand, in the medium-to-long term, there will be a struggle for supremacy and dominance over the high-tech sector, and a resolution to that will take some time." In addition, Watanabe said, "Regarding the appropriate international division of labor, time is a strong factor in the issue of comparative advantage. In the automobile industry, Japan, the U.S., and Europe have had the overwhelming advantage thus far, but with time, it is possible that they will start to lose out to China and India. Friction is something that occurs over a certain time frame, and so accepting the U.S.-China friction calmly" will be necessary. Furthermore, Watanabe called the recent U.S. movement towards protectionism, "a mistake...multilateral dialogue is important." 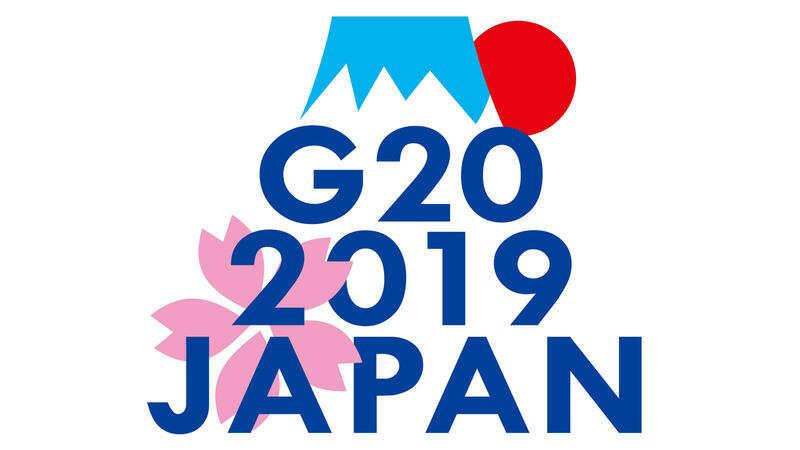 He has high expectations for Japan to take a leadership role through its multilateral approach, as evidenced by TPP 11 coming into effect, the Japan-E.U. EPA coming into effect shortly, and RCEP discussions becoming more active. 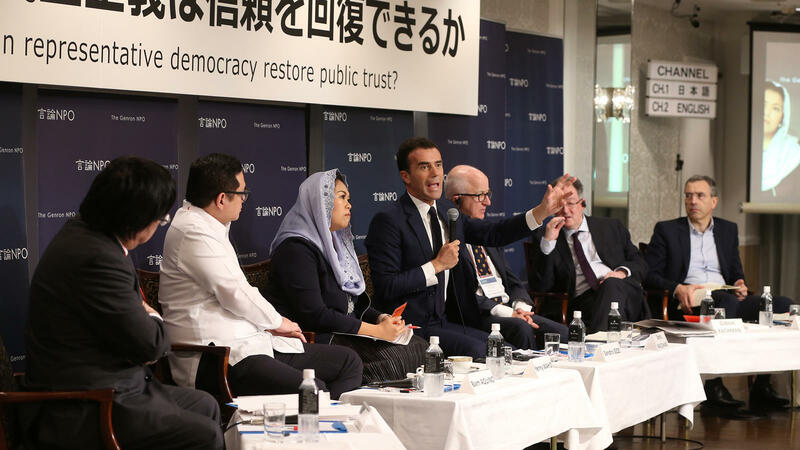 It is important for Japan to be a model for countries by taking the initiative in the idea of "everyone following the rules that everyone makes together", and to implement the approach in policy. Last to offer a discussion point was Assistant Professor Greg Autry of the University of Southern California, co-author of Death by China, a book dealing with the alleged economic threat posed by China. He wrote with book with Peter Navarro, Assistant to the U.S. President and a man who has been called the most anti-Chinese hardliner in the current administration. "When engaged in discussions with a potential enemy nation, what is most important is to base one's arguments on truth," Autry said, adding his opinion that the U.S expected China to open up and welcome capitalism. However, Autry believes that Xi Jinping is uninterested in Deng Xiaoping's "Tao Guang Yang Hui" strategy, and ended it because he wants to control the world. Autry continued his harsh criticism by saying that China is willing to use any means to gain the advantage, but it has become more honest about it because of the rule of law and existence of multilateral agreements. Autry observed that China is ignoring intellectual property rights and refuses to follow agreements under the WTO, and though they are projecting military strength, he believes they are just a "paper tiger." "China will not be able to maintain 6% economic growth, and so it is highly vulnerable. That's why they are being so aggressive - they don't have time to waste," he stressed. "The issue of intellectual property rights is more than just simple theft. They are acquiring technologies, weaponizing them, and have spies working in cyberspace. On top of that, they are exporting those technologies to autocratic governments in Venezuela, Africa - these are not things done for the benefit of mankind." Autry summed up his position, saying, "However, as allies, we have a way of handling this: evidence-based, negotiation-based solutions that respect the rules. I hope a path will become clear, and we will be able to engage in open dialogue." 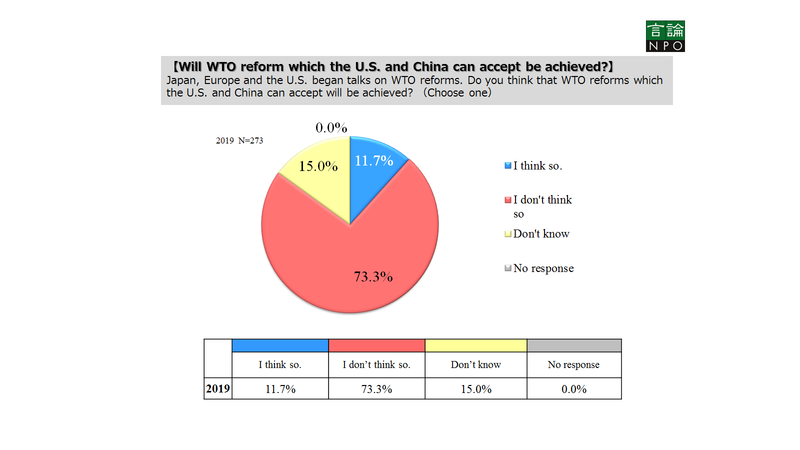 Perceptions of China policy are divided, but has the U.S. stance towards China changed? Kudo provided his own summary of the issues posed by the four panelists, and ended with a frank question to the panel. "Opinion is split between the U.S. and Japan, and even within the U.S. When Japan looks at the U.S., we feel that there have been some major changes made to its policies regarding China, and that a swing-back could be coming. Is the view on the Japanese side overly optimistic? Has the U.S. ended its engagement policy with China and moved to a stronger stance?" The question was first answered by Riley Walters, a policy analyst in The Heritage Foundation's Asian Studies Center. "Last October, Vice-President Pence gave a speech on Chinese interference in American Democracy, and the eyes of the American people were opened," Walters said. He explained that Japan and the U.S. have followed different approaches recently. Japan is entering into new multilateral trad agreements, liberalizing trade, and building a stronger supply chain. Meanwhile, Walters said, the U.S. has taken the bilateral approach, which, while it isn't always cordial, is based in the traditional rules-based order. He pessimistically added that he is uncertain if a deal that brings the same obligations as those under the WTO can be reached with China. While talks continue, Walters is not sure a solution can be found within 90 days. Pacific Forum President and former U.S. Navy Rear Admiral Robert Girrier spoke about the importance of rebuilding a trusting relationship, and stated that this is why the rules cannot be broken. "The modern world has connectivity...everything is connected to everything else, and that is a solution. Shared values are also important, and are another thing that connects us together," Girrier explained. Many changes occur over time, and so a variety of solutions become available. Girrier believes that there is a time for cooperation and a time for opposition, but whatever time it is now, more discussion in needed. Kudo asked the U.S. panelists whether the current strategic competition is a means of containing China, and Former Assistant Secretary of State for East Asian and Pacific Affairs Daniel Russel responded by saying that it is a mix of engagement and confrontation. He worries that the U.S.-China economic friction will develop into political confrontation. "I don't think they're trying to make it worse, but the combination of President Trump and Xi Jinping is causing a stir," Russel said. "Politically speaking, the North Korea problem may become a critical issue between the U.S. and China, and other crises may arise through potentially increased tensions regarding the South China Sea and cyber-attacks." Fujisaki provided an explanation of the Japanese perspective. "Amidst the U.S.-China trade conflict, Japan and China seem to be growing closer. What does that mean in terms of the U.S.-Japan relationship? Well, during his visit to China, Prime Minister Abe made a statement about moving away from competition towards cooperation, but in fact, those words were used in a conversation about another country. In addition, there are four conditions to meet for the One Belt One Road initiative, so the U.S. understands that there is no chance of entering that agreement quickly." 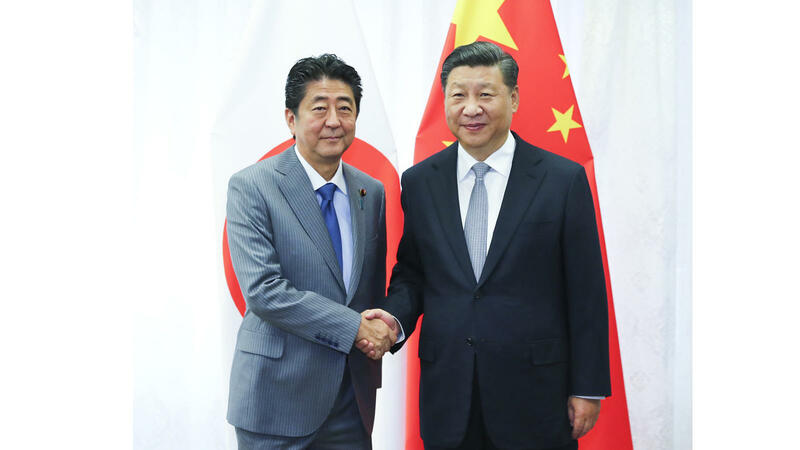 "The China-Japan relationship is often described as politically cold and economically hot, but those warm economic winds have started blowing into the political side as well," Fujisaki continued. "Now we have the opposite problem, where we're trying to warm up political relations, but the economic aspect is lagging behind." Some of the reasons for the change include wage increases in China, increased capabilities of other countries, and pressure from the U.S. However, Fujisaki explained that even if China and Japan are growing closer, Japan has not "changed direction" towards China. Former Administrative Vice-Minister of Defense Matsunori Nishi added to the discussion with some commentary about supply chains. In October 2018, Bloomberg released a report stating that microchips installed on motherboards in the servers of certain companies enabled secret remote access to the computers, and that this news wreaked havoc among government agencies. Nishi pointed out that, "The technology behind devices like those microchips are becoming more refined, and there is no institution in Japan capable of carrying out the exhaustive checks required." Nishi believes that trade conflict will not arise directly from weapons in the near future, but from the increasingly strict security required to prevent information leaks through listening chips, hardware backdoors on routers, etc. He raised the possibility that it is only Japan that remains unaware of this, and called for more attention to be directed towards this national vulnerability. Next to speak was Osamu Onoda, former commanding officer of the Japan Air Self-Defense Force Air Training Command. 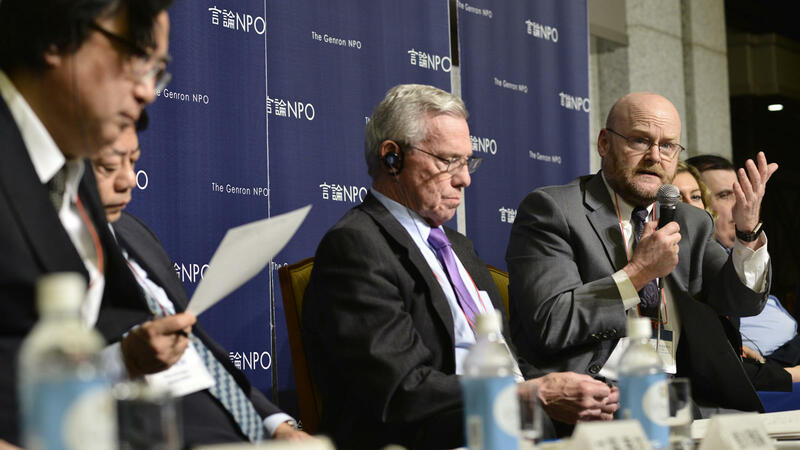 Onoda described how military cooperation between Japan and the U.S. is continuing to expand. However, from the security and technology perspective, while the domestic assembly of the F-35 shows some progress, Lockheed Martin engineers are actually handling the work, so practically speaking, there is increased fragmentation in the equipment sector. Onoda added that one more effect of recent technology is that, "whoever holds the technology becomes overwhelmingly powerful. That's why we cannot afford to let the U.S. lose." For this reason, Onoda believes that the U.S.-China trade friction and issues of intellectual property rights are going to be major factors determining who will dominate the economy in the coming generations. Kudo asked Girrier what he thought about the statement that "the current situation is not a collision but just friction." "I think we can describe it as friction," Girrier responded. "Therefore, we have to think about how to manage the relationship and the friction. The friction is long-term, but it is not a conflict, and not a collision. We have to think about how to manage the friction." Girrier emphasized the need for transparency and rules, i.e. issues surrounding trust, through a rules-based mechanism. 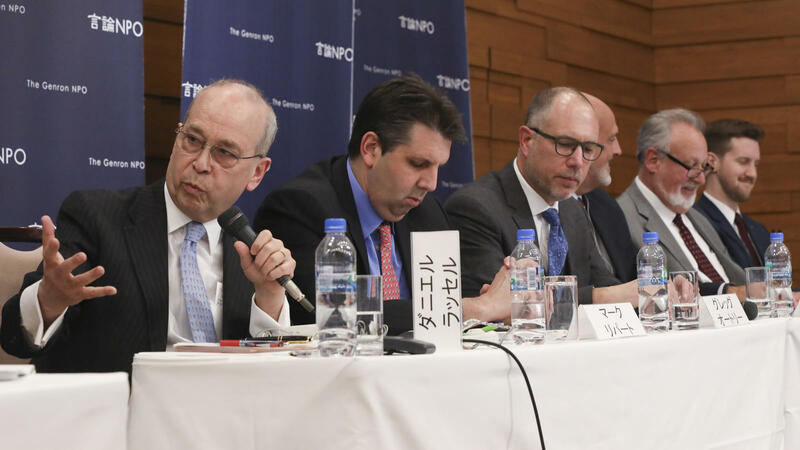 Kudo noted that the panelists' comments had put him slightly more at ease, but added that what Japan is worried about is the U.S.-China trade rivalry expanding into a full-scale trade war. Even without complete decoupling, such a development would result in the cutting of economic supply chains and the emergence of rifts throughout international society, and Kudo noted that this would drastically destabilize the international economy. With this in mind, Kudo posed another question to the panel. "The U.S.'s post-war goal was to build a rules-based global society, but what is its end goal with the strategic competition policy? What kind of world is it trying to build now?" What is the end goal of the strategic competition policy? What kind of world is the U.S. trying to build? "The powerful don't believe that they are bound by the rules," Russel responded. "Rather, they think the rules just get in the way. For that reason, we cannot expect the rules-based system to be preserved." He explained that, in response to the problematic behavior on the part of the U.S., Japan should cooperate with other countries that share the same ideals and aspirations. They should work to eliminate that behavior by exerting their own influence, and should aim to stop China from engaging in the same sort of behavior. Former U.S. 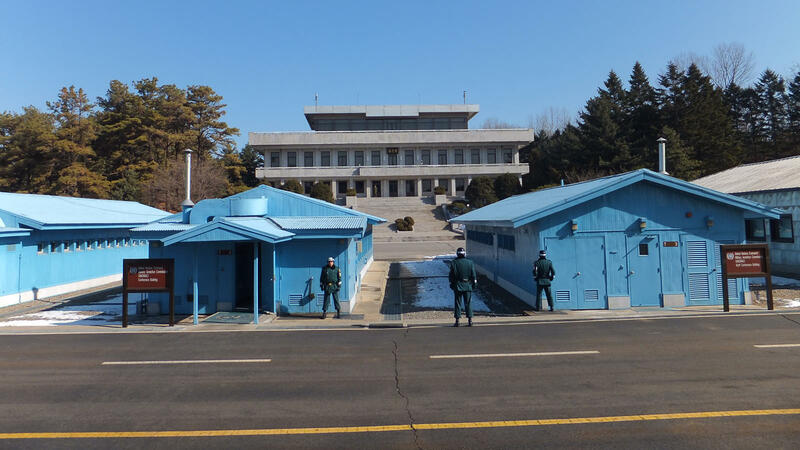 Ambassador to South Korea Mark Lippert indicated that the international system built after the Second World War is no longer functioning, and is unable to handle the multivariable, simultaneous issues of the 21st century. A new, 21st century consensus is needed, Lippert believes, and in order to achieve that, we have to keep up with changes in the global community through some sort of overhaul of the U.N., the IMF, the WTO, and other international-level organizations. Nishi agreed, saying that, "We have reached the point where a change in the international order is necessary." He added, "When the Second World War was over, the new global community was designed by the U.S., but we can no longer have the same expectations of America. It has neither the capability nor the financial power it had after the war. I think that might be the source of President Trump's frustration." Nishi further explained that, for the last 70 years, the U.S. has paid the cost of managing the system around which the global community is built. "During the Cold War, it was possible to propel the international community forward using a shared system, but once China entered the mix, the system became more complex, perhaps even inconsistent. We should have started discussing what the new system should become at the point China joined in, but they weren't interested, and the West conceded in the face of that market of 1.3 billion people." Nishi feels that China's free ride should be brought to an end, and the system should be rebuilt to get rid of the inconsistencies. He believes that we are on the brink of a major challenge - how to involve China and the other countries who have fallen outside of the current system into the new system. Fujisaki also offered up his agreement, describing the system of the global community as "suffering from metal fatigue." However, Fujisaki believes that, to prevent the world from falling into chaos, what is most important is to engage in rules-based discussions, and protect the system we currently have until a new system can be built. Kudo wrapped up the discussion and brought Session 1 to a close, stating that he believes now is the time for both Japan and the United States to fulfill their responsibilities as sovereign states, and work together to help create new rules for the global community.